This Friday, August 31, is the first day of the “Grand Tournament of Sankt Wendel” which will run through Sunday, September 2. Andreas Wenzel, who will be one of the jousters in this prestigious tournament, kindly took the time to answer several questions about his involvement in the competition. 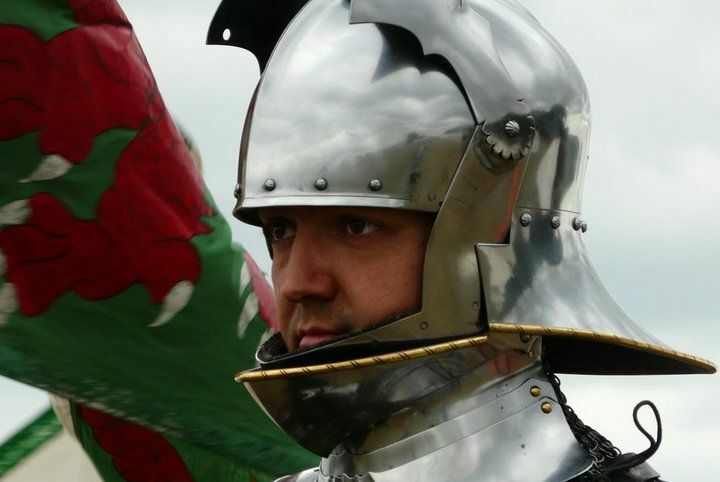 To experience what the medieval warrior has experienced has been Andreas’ aim for more than ten years. This has lead him to study the sabre at one of Germany’s oldest fencing clubs, learn and teach the art of sword play through all medieval periods, learn how to ride horses, and train with axes, hammers, glaives and bills. 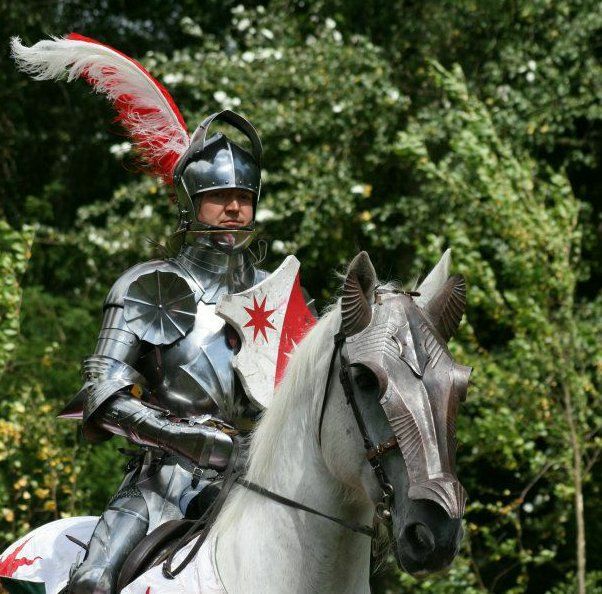 After moving from Franconian Aschaffenburg to England, Andreas became part of Destrier – Europe’s leading medieval mounted display team – jousted with solid lances, and commanded a cavalry unit at Europe’s largest battle re-enactment at Hastings 2006. Andreas participates in tournaments and competitions all over the world. His most important successes include the individual championship at the "Tournament of the Phoenix 2010" in San Diego, California, USA and the team championship at the Tournois du Lys d'Argent 2011 in Montreal, Quebec, Canada. How did you become involved with the “Grand Tournament of Sankt Wendel”(GTSW)? GTSW is organized and directed by Arne Koets, who is a good friend and long-time comrade-in-arms to me. I first met him at a show in Holland when starting out on the jousting circuit in 2005. He was my partner for the first outing of the Imperial Jousting Team at "Arundel Castle 2009", and we were team mates representing the Old World at the "Tournois Du Lys d’Argent" in Quebec last year. It is my impression that Arne took great care when selecting the initial GTSW team, so I was immensely honoured when he involved me and several other Destrier team members at the very beginning of the GTSW project. Six of the jousters will be competing in a joust of peace, using either specific Gestech harness or modified field harness with frogmouth helmets or grand bascinets with tilting visors. I however am one of two competitors who will be participating in a joust of war, i.e. using regular field harness without special modification to the helmet. Therefore the modifications I had to make to my regular gear are fairly minor. I have commissioned an arret (lance rest) for my cuirass, which was a piece I was missing as we don’t usually use these when jousting with balsa tips. For solid lance jousting however an arret is indispensable. I have picked a German hinged arret design from a 1470s effigy, and am very pleased with how it turned out. 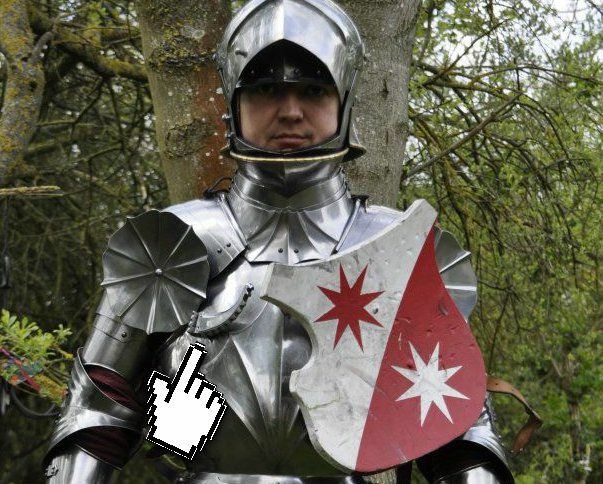 I have also sourced a larger and much heavier jousting shield, as they are typically used for historic solid lance jousting nowadays. The shape and size for this is based on a late 15th century German original from Marburg, which is pretty close to my home town of Aschaffenburg. The GTSW project is heavily influenced by Arne’s work at the Prince’s Court Riding School in Bueckeburg(Fürstliche Hofreitschule in Bückeburg), which is arguably the centre for baroque haute ecole horsemanship in Germany. Arne has managed to secure the Court Riding Master, Wolfgang Krischke, to support the project, and several of the horses at St. Wendel are top shots from Bueckeburg or have been trained there. So the standard of horsemanship we are aspiring to is astronomical, and has had to be the absolute focus for everybody’s preparation. My first exposure to this was a weekend workshop organized at Dominic Sewell’s yard (Historic Equitation) in England last year, where Arne and Wolfgang met the UK-based competitors and their horses for some initial training. Being schooled by Wolfgang, and then seeing him ride some of Dom’s most challenging horses, was, and I am not understating, a profound revelation for me. I think everybody in the team has made at least one pilgrimage to Bueckeburg to get a better feeling for what the Riding School is about. I did this early this year, and was frankly blown away by the incredible capability of the horses and the riders at the place. I was privileged to be given lessons by Wolfgang Krischke himself and Court Schooling Rider Rebecca Güldenring on a selection of horses in the frame for GTSW – an experience which transformed my approach to riding horses profoundly. I left Bueckeburg that time with my horse’s name on paper for GTSW and a list of issues to work on back in England. I then booked myself a large number of private longing lessons with intent to remedy a few physical training issues (lower back flexibility) and re-balance my seat – all as per Wolfgang’s instructions. When I returned to Bueckeburg for a second weekend of lessons, I was able to ride my designated horse in armour for the first time and break my first lances while riding him. So, as you can see, the focus of preparation has been on horsemanship. I am not alone here – some of the other competitors have spent far more time at Bueckeburg than I have, using this exceptional resource to school themselves and their horses for GTSW. 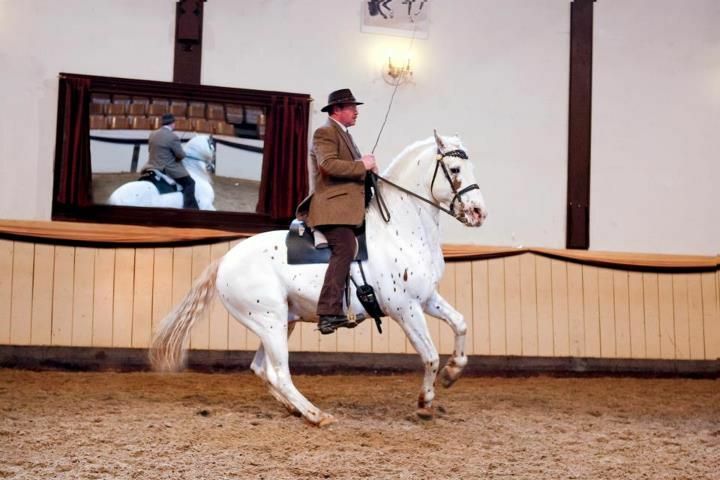 I will be riding Sigismund, a Spanish stallion stabled at the Court Riding School in Bueckeburg, but owned by Arne Koets. Sigismund is still in his earlier training stages at Bueckeburg, and does not yet have the athletic capabilities and repertoire of a fully trained baroque show horse. However, I know him as immensely willing, incredibly bright and talented, and BY FAR capable enough to push my horsemanship to and beyond its limits. I am hugely proud and honoured to be trusted with him for the tournament, and will do my very best to not embarrass him. 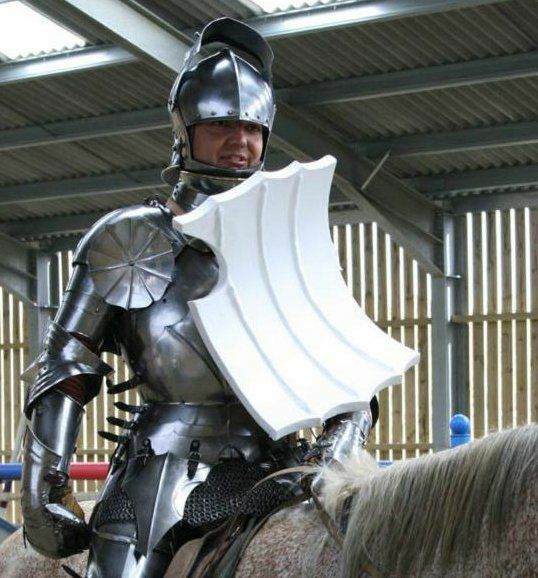 I have been part of the Destrier pro team which pioneered historic solid lance jousting with Gestech harnesses in 2008 and 2009 for English Heritage. 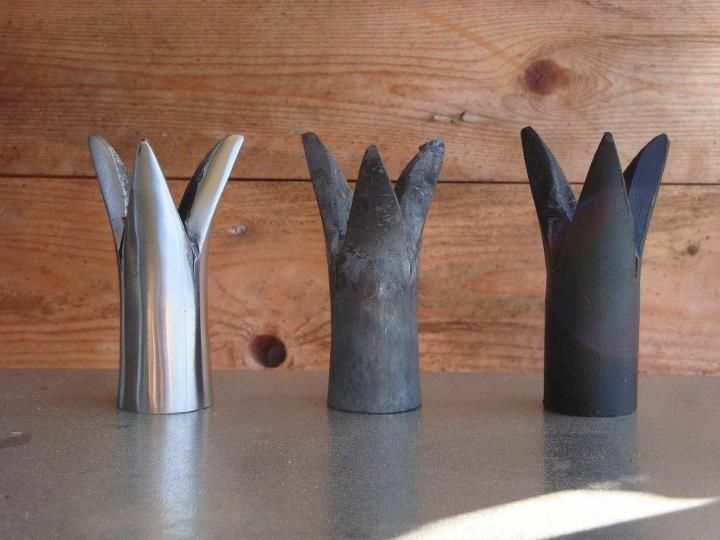 As a result I am not feeling too worried about the prospect of using solid lances and sharp steel coronels – although I do of course retain a healthy respect for the dangers of what we’re about to do. I am definitely most nervous about riding Sigismund well – riding a horse as sensitive and highly schooled as he is, while having to cope with field harness, a solid lance jousting shield and arret will be a tremendous challenge. GTSW has been specifically advertised to the horse community in Germany, which is very critical – not a forgiving environment. Also, despite all my show and competition experience worldwide, I have never actually ridden a horse in a show in my home country. Let alone a highly trained Spanish stallion. In full armour. During a solid lance joust. GTSW will be a real medieval tournament. There are no shortcuts, no stops to be pulled out. It’s the real thing in every respect for the first time since the 16th century. That is what I always wanted to do – it’s the fulfillment of a dream. It is a unique opportunity, and being one of ten people world-wide to be given the opportunity to participate in this is simply mind-blowing. I will need almost every martial skill I have ever learned – it’s like the end-game, the culmination of 15 years in medieval re-enactment and martial arts. Whatever happens, I expect this to be one of the key experiences in my life. We will tread the paths our forefathers walked, behold the sights they saw, do the deeds they did.